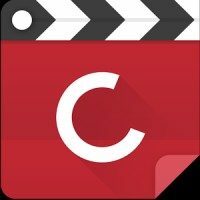 CineTrak lets you find the best movies, build your watchlist, and check reviews and ratings from many sources such as Trakt, IMDB, Metacritic and Rotten Tomatoes. CineTrak is built on Google Material Design and offers a gamified environment which makes watching movies fun and motivational. CineTrak DOES NOT allow you to watch movies. 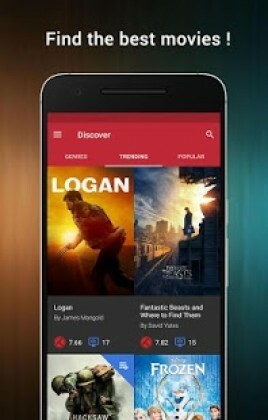 It lets you DISCOVER the best movies! – Everything is better with Friends! CineTrak now allows you to check what your friends are watching! 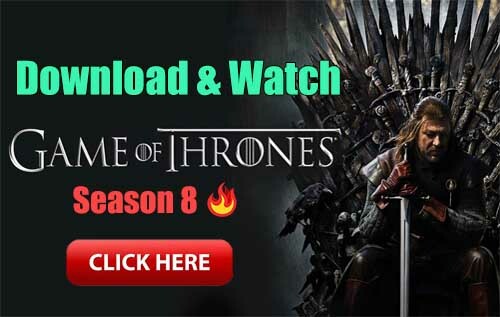 Access friend watchlists and rated lists for both movies and TV shows. Discover more movies by accessing their custom lists, history and collections! – Liked Lists are here! 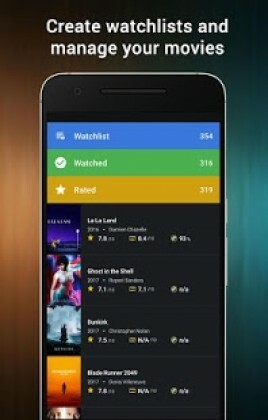 Like a list on Trakt and access it anytime in CineTrak!